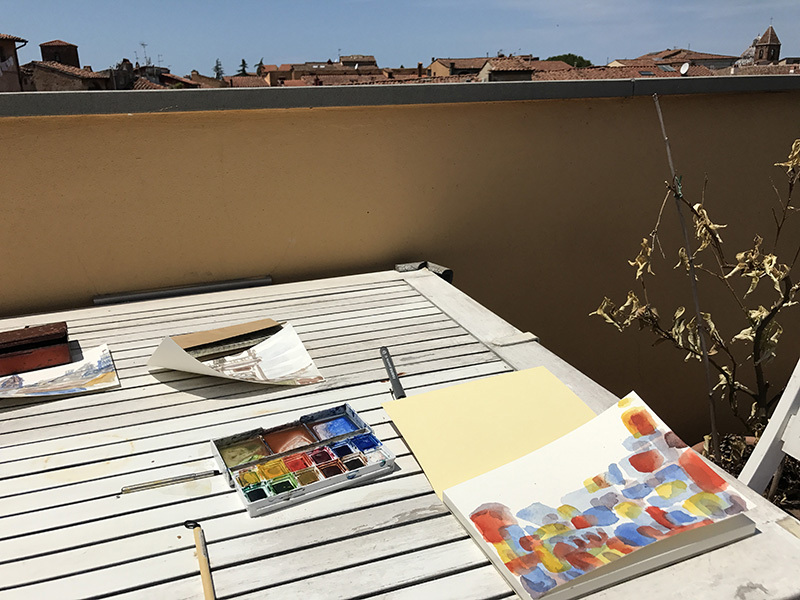 Drawing on the top of my friend's house in Pisa means that watercolour and ink dries quickly and a picture can progress without much waiting around. Not that I have a lot to do today. It's almost alarming just how fast I can paint thanks to the hot sun. The only restriction is water, which is in high demand for the mixing of paint and human consumption. These are painted with the finest Italian drinking water.